Yeahh……. This one’s on me. Sometimes you’re the Spawnsire, sometimes you’re the Zendikar. 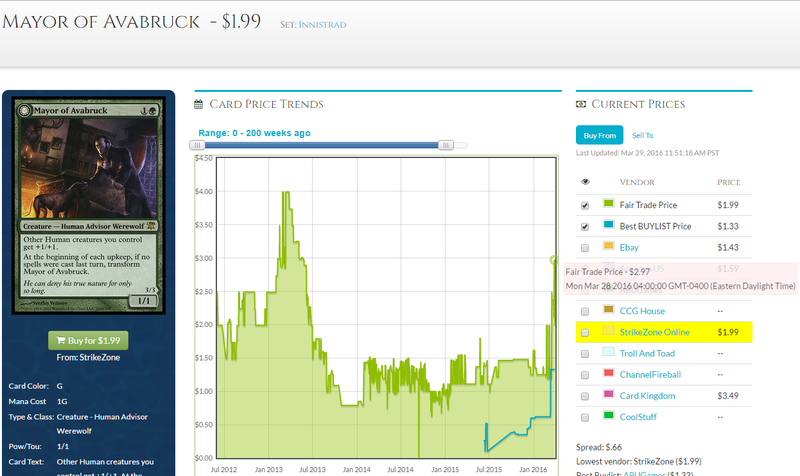 On the bright side it hasn’t increased by a billion percent, so anyone looking to buy their copies to play with still has a chance to buy a playset for $10-12 and avoid any further risk of the card becoming $5. I’m accepting the fact that I missed the train, so I’m not buying in at all at this point. By the way, are there any actual non-competitive players who read my articles? The kind of players who actually buy copies of Mayor of Avabruck to play with? I’m curious, because I tend to throw around the “there’s still time to buy this card if you want it to play with, but I don’t think you should buy in for profit” line a lot, but I’m not sure if that suggestion actually holds any value for you guys and gals. That was some sort of joke about the full moon being bright, so there’s a brighter side because foil Moonmist jumped, and… you know what? Forget it. I’m not being paid to be the comedian here. I’m being paid to tell you that I have no idea which psychopath felt the need to bathe in foil copies of a green common from Innistrad. All of the historical evidence points towards casual 60-card players being hesitant to foil out decks, and I never would have suggested this as a pick based on that evidence. If you happen to have foils of this card stocked away with a pile of other bulk foil commons, I highly recommend releasing them back into the wild and getting whatever real dollars you can. Okay, so let’s forget about werewolves for the moment. Let’s talk about a more proven tribal archetype, and some of the cards that I’m fairly bullish on. 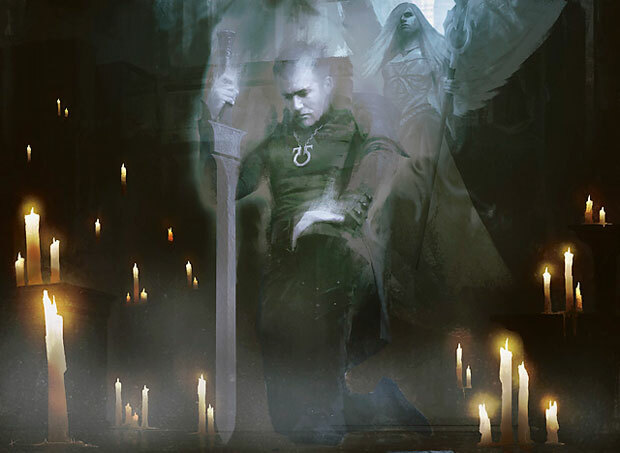 I’ll channel my inner Jason Alt, maybe fart out some fart jokes, and talk about why old and dusty Innistrad cards are probably going to see a few percentage point increases thanks to an old pair of pals. Grimgrin is no longer a bulk mythic. He’s been a fairly popular Commander for a while, at least according to EDHrec. He just barely misses the top 25 Commanders of all-time with 278 decks as of 3/29/2016, and is easily in the top 10 two-color Commanders. Thraxi is almost certainly doomed to the bulk bin, considering he was caught in the True-Name Nemesis crossfire of 2013. Do you see that $.04 increase? Obviously that means the card is going to be $6 in a week, so you should all mortgage your homes and buy into Rooftop Storm. 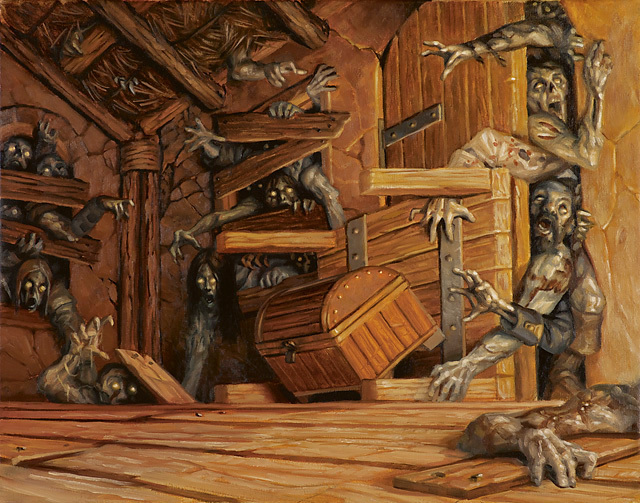 There will literally be thousands of Zombie Commander players (one might say there would be Endless Ranks of these players at your doorstep), and you’ll be able to afford every Legacy deck you could ever want. All thanks to non-foil Rooftop Storms. In all seriousness, this is not a card that will be going anywhere soon. Similarly to how I thought Mayor was a trap, this will be an open grave for anyone who tries to walk into it. There are over 220 copies on TCGplayer alone, and its’ a bulk rare that I’m happy to shove in the “four years from now” box on the happy occasions when I pick up a few at a time for a dime each. Oh, but did you know foils have a billion percent multiplier? Yeah, so that’s a thing. 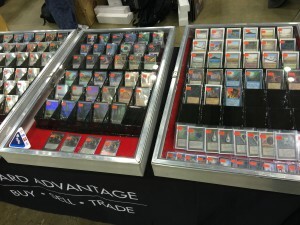 I wonder if Geralf can build a time machine so I can go back like four weeks and tell you all to buy foils. Anyway, let’s go back to me being at least somewhat useful and suggest cards that I actually believe are a solid buy at the price point they’re at now. Unlike our six-drop blue enchantment, Endless Ranks is a bit more versatile in 60-card land. You can actually play multiples without feeling like a fool, and there’s the insane art synergy between this and Relentless Dead. Add in a few Shards of Broken Glass and just wait six more years for stained-glass tribal. We’ll get rich from that eventually. I do think Endless Ranks is a strong buy at $3, and that you can expect to unload these by the end of SOI block at around $6-7. I’m in for about seven copies, and I expect to move these by throwing them in the display case and listing them on TCGplayer. As much as I want to tell you all to buy eighty copies of this card, I can’t do so in good faith. While I picked up a few dozen at $.25-$.50 each, I’m accepting the fact that it will take at least a couple more years to creep up to the $4-5 range that I think it deserves. My personal love for this card continues to try and distract me from the fact that it suffered the same fate as Thraximundar by being in that deck, and my win-more stories of how I combo it with Phyrexian Altar are not going to push the price any further. The card is freakin’ sweet, but just throw them in the $2 box and nod at the people who buy them and call you an idiot. Remember how Avaricious Dragon was going to be a big deal? It turns out that Fiery Temper was the only real card worth casting off his discard trigger, with Avacyn’s Judgment being the next at bat. I’d sell out of the dragon at this point and be happy with my triple up to $3, and save the next harrowing spell of disappointment for the next guy. If you’re a gambling enthusiast, go ahead and hold onto them and prove me wrong. The Battle lands (I swear to god if I see the word “tango” used in a Magic context one more time..) popped up on the Interests page, all showing between 10-15% increase over the past week. This is your last warning at this point; buy them if you need them for Standard, or eat a $10 bill for each one you failed to purchase in two months. 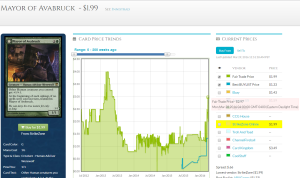 Advertisement: Thousands of Magic cards in your collection? Don’t know which cards you own, or where they are if you do? Use OzGuild to catalogue and organise your collection online. Scan in your first deck for free! My interest in Standard is usually very fleeting. When I’m covering a Standard event, I get pretty deep into it. I know the decks, I know the pilots and designers, I know the strategies. Then a few months will go by without me covering a Standard tournament, and I’ll gradually lose interest and track of the format. Coupled with the fact my Friday Night Magic is Draft instead of Standard, it means my connection with Standard is tenuous at best most of the time. Except at Rotation, that is. That’s where we’re at now, or at least heading up on it. Previews are coming fast and furious — not to mention in some pretty incredibly awesome ways — and we’re quickly getting ready to depart pre-Sarkhan-meddling Tarkir (the Dragons will be sticking around). That means the fetch lands are going away. 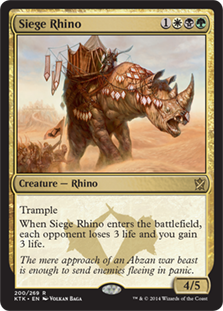 Gone is Siege Rhino. Mantis Rider is no more. We won’t be cruising or digging through time any more, nor will we be dashing any Kolaghans. I love Rotation. It’s a time of unbridled creativity for deckbuilders, and as much as I enjoy writing finance and coverage, the truth is I like to play a little Magic too. In truth, I actually play quite a bit. While I’ll leave the Grinder Finance to Jim since I’m rarely ever to play in big tournaments anymore thanks to doing coverage at them, I spend a lot of time playing in several tournaments a week at home, and I play a good deal of Magic Online. My favorite format to brew in is Modern, and I’ve had a fair amount of success doing so. Obviously Merfolk is the deck most people associate with me, and I’ve done a lot of work over the years to help shape it into its current beautiful form. But I’m constantly brewing up other decks as well, and while I’m not sure I had anything to do with it I was streaming Flagstones of Trokair – Boom/Bust for a week before they spiked. Anyway, I won’t bore you further with my exploits, other than to say I enjoy Rotation for the same reasons. It makes Standard new and exciting, and often times more fun. It also brings with it financial opportunities. It’s those that I’ll be exploring today. 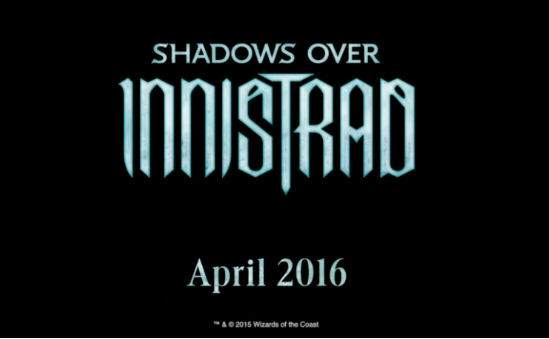 Honestly, I feel like a lot of post-Rotation decks will be heavily based in Dragons of Tarkir and Magic Origins unless Shadows over Innistrad just blows it out of the water (which is certainly possible). But take, for example, this Jeskai Dragons deck that Top 8’ed the Star City Games event two weeks ago. Outside of the mana base, which will adjust for all decks, only nine(!) cards rotate from the maindeck, and some of those are fairly easily replaceable with cards from Magic Origins or newer sets. 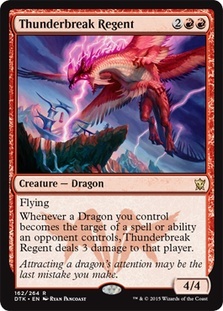 The Dragonlords themselves are all still very powerful, and Thunderbreak Regent and Draconic Roar isn’t getting any worse. 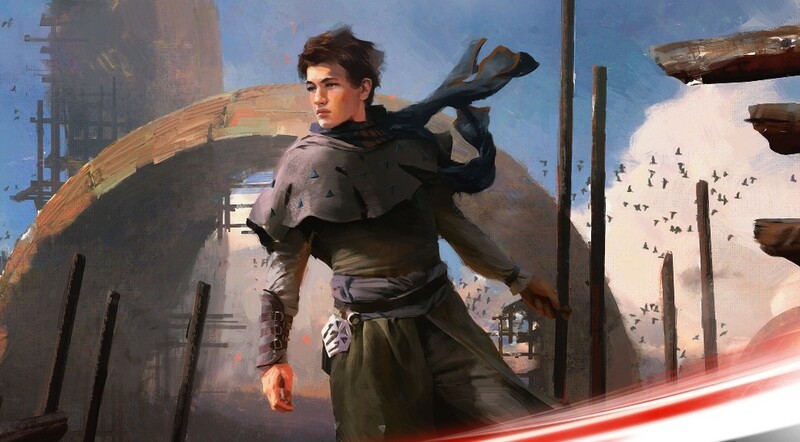 It’s not the only deck in this position – the Bant Company deck that won that event has only some fetch lands and a pair of Wingmate Roc rotating out. In many ways, we’re already living in the future. So what opportunities does this present financially?